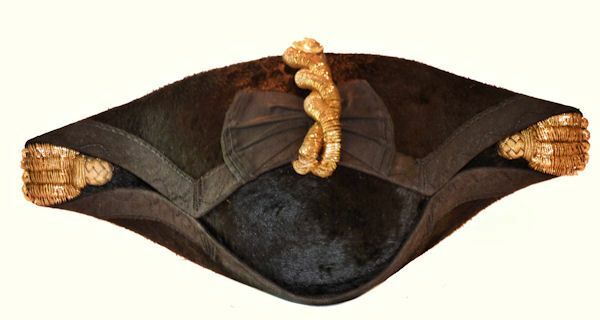 Presented is a British Royal Navy, full dress, bicorn hat or chapeau formerly owned by Dennis Brian Harvey Wildish, RN, CB (1914-2010), dating from when he served as a lieutenant from 1937 to 1943. It is in "Like New" condition, likely because it was never worn during the years of WW II. 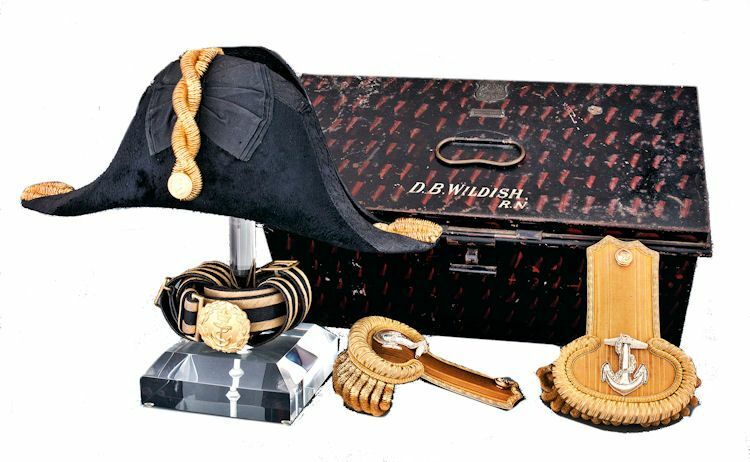 Dennis Wilish was the son of Rear Admiral, Sir Henry William Wilish, KBE, CB . Young Wilish entered the Royal Navy as a cadet in 1932 and retired as a Vice Admiral in 1972, a forty year career which is unusual in its length. In 1968 he was inducted into the Order of Bath as a Companion Commander. His entire Naval service is in the detailed table below. 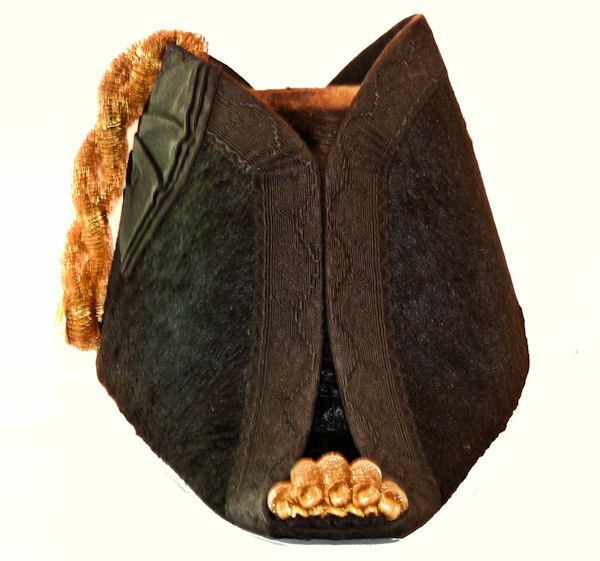 The bicorn hat comes with a Victorian style tin case for the hat, epaulets and sword belt. and was made by Gieve's Ltd, the premier purveyor of British uniforms and accoutrement's. A photograph of Wilish accompanies these items. Uniforms of this quality from Gieve's Ltd owned by a named Royal Navy officer are rare. 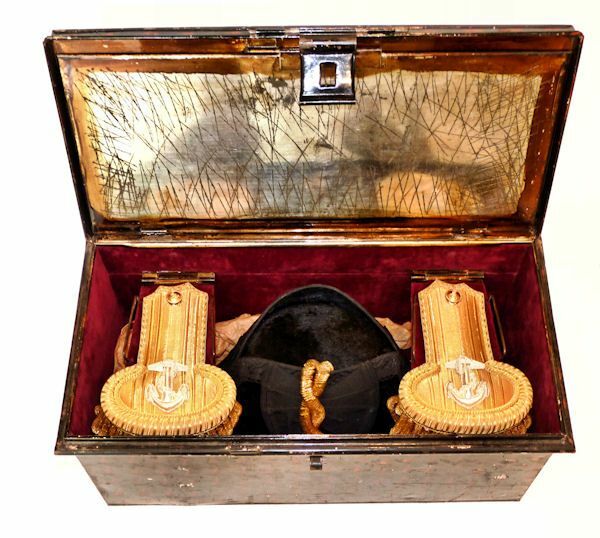 They are wonderful display items, and in that era were similar to the Royal Navy Uniforms that date back to Lord Horatio Nelson as is shown in the print near the bottom of this page. They serve to establish a historic connection with the past as is shown by this lithograph of British Royal Navy Uniforms dated 1834. 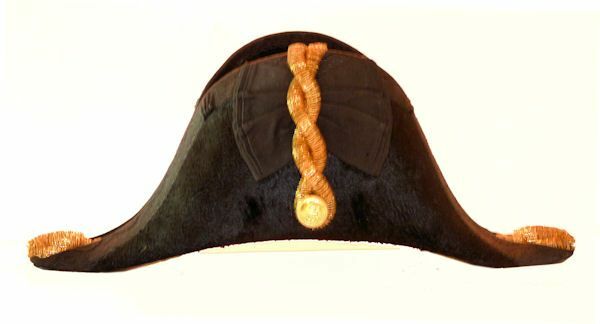 This surviving example of a lieutenants uniform of this style is in its original "excellent" condition. CONDITION: The hat is in excellent condition and may be considered "Like New". The named case for the kit has 95% of its original finish remaining with some minor scattered scratches, dents and minor surface oxidation. It's mirror is crazed. The container in the case for the belt is loose on the left bottom. The cover is removed by using the hole in the top and pulling up. 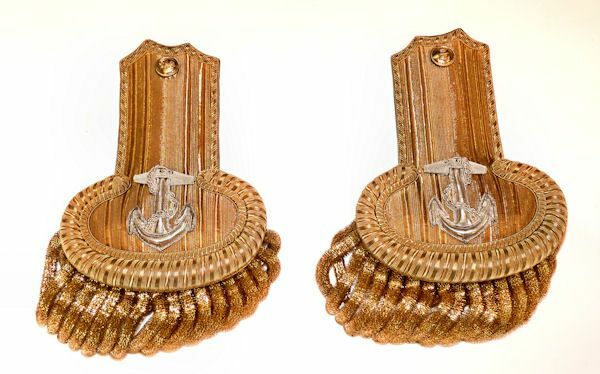 The epaulets and gold bullion hat trim are generally bright. The sword belt is very good with some cracked and worn leather. FLAT RATE SHIPPING to 48 contiguous States$45.00. 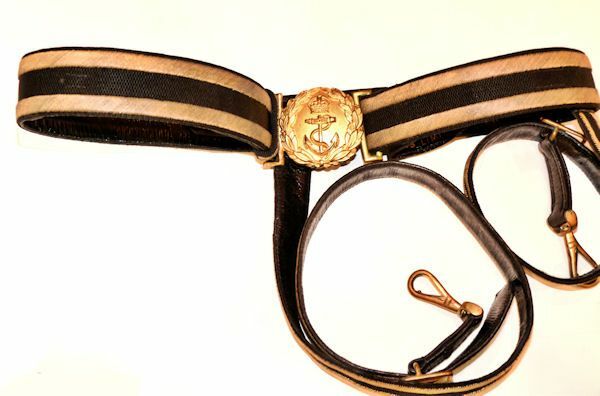 Buy this very special Royal Navy pre WW II uniform! 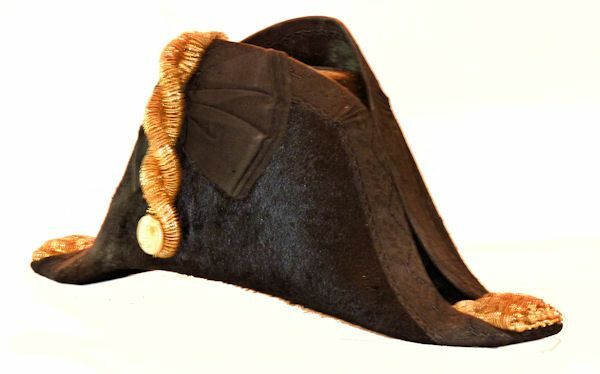 To view our current inventory of antique and vintage military covers, chapeauxs, and bicorn hats, click here!